I'm trying to keep a regular release now. Which will hopefully be easier as I'm not lugging myself across the country or worrying about that fact that my degree may have been granted by mistake. Turns out that was actually a thing. I only realised this on Wednesday evening whilst getting ready for my graduation yesterday. I was bricking it about turning up and them saying "Nope.Glitch in the system. Whoops" and that didn't stop until I had been up on stage, done the hand shake thing (it was formal, no gangsta stuff here. thouhg that would have been kinda epic), walked back to my seat and sat there with the certificate grinning like a loon. We are coming edging to the end of this escapade. 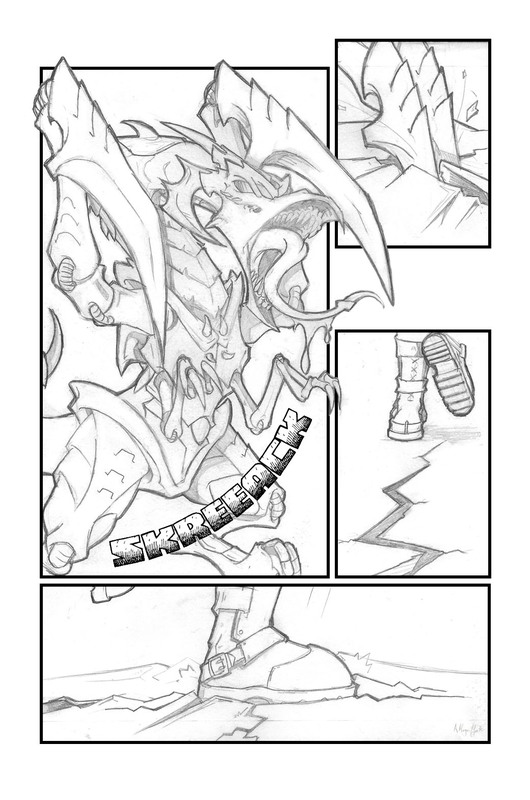 but fear not, Xeno speaks the truth, chapter two is in hand and pretty much read to be drawn. *FLAIL MANICALLY* TWO PAGES IN A... oh Yee already made that comment. Well life is as cray cray as usual, I would have had this page up last night but I was working till 2am and promptly went to bed. I also recommend to anyone and everyone to play Warframe which recently got a huge massive update that kinda blew open the lore in a massive way. I'm also going to recommend the anime series One Punch Man for anyone that isn't already aware of it, I'm really after trying to get my hands on the manga but it's not available yet on kindle over here in the UK, boo hss!!! Anyway, I've been working on getting another YouTube project done that is a month long series of short 10 minute episodes. Honestly I have no idea if they're going to be entertaining or if they will cost me subscribers to my YouTube channel but I can only try and see what comes of it.